You would be forgiven to think that Kreg just makes pocket hole jigs. But you would be wrong. The Kreg company are producing an ever growing range of tools and accessories that help professional and amateur woodworkers alike, work more efficiently. I like companies like Kreg, because they produce products that focus on common problem with tools and work to fix them. 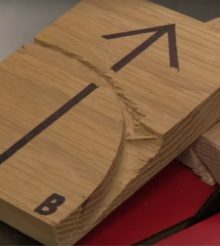 For example, the stock miter gauge that comes with most new table saws is distinctly lacking and the reason for this is that not everyone uses them. 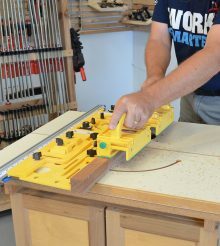 Some woodworkers will prefer to make there own custom jigs that do the same job. So table saw manufacturers tend to cut costs here and produce something that is adequate at best to keep costs down in a what is a very competitive market. So for people who do see the value in using a decent miter gauge, they have to look to companies like Kreg, who design and manufacture brilliant aftermarket tool accessories. 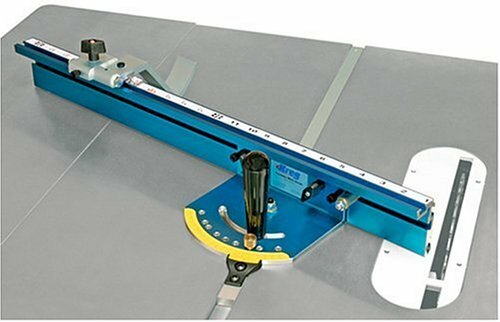 So today I wanted to look at the Kreg Precision Miter Gauge System (model no. KSM7102) and see what it has to offer. The 24″ cnc cut aluminium fence incorporates a flip over length stop, which means you can easily make repeat cuts over and over to the exact same length. This miter gauge comes with a very straight 24″ anodized aluminium bar. There is about 16″ of bar in front of the fence. The miter bar is 3/4″ x 3/8″, which will fit in a standard miter slot. It is worth checking your table saw comes with a standard size slot as some table saw manufacturers, for some reason haven’t included a standard slot. The aluminium bar has 5 adjusters to easily eliminate any play in the miter slot. These are very easy to set the first time you use the gauge. The T-Track on the face of the fence means that you can easily attach a sacrificial fence to the miter gauge. and because of the clever curved design of the swing stop means that you can still use it with the sacrificial fence fitted. Check out this great unboxing and setup video for the Kreg Precision Miter Gauge. 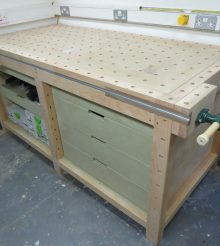 It’s brilliant, and for me ticks all the boxes of what I would look for in an aftermarket miter gauge for a great price and will help you get more out of your table saw.